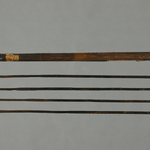 Composite arrow: reed shaft, wood foreshaft, bone (?) point encrusted with black. Top of foreshaft painted light blue, criss-crossed with very fine binding. 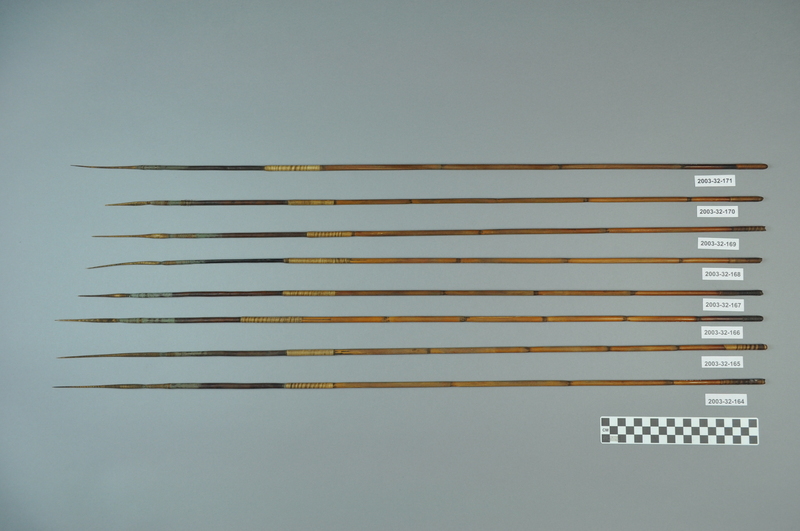 Broader, light-colored binding at juncture of shaft and fore-shaft and at end. Nocked. Exhibited at l'Exposition universelle de Paris 1900. 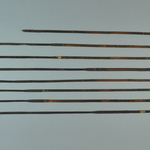 "Oceanie 14099 / 29 fleches empoissonnes [29 poisoned arrows].